Joseph Guerrieri began his legal career as a law clerk to a Superior Court Judge in Washington, D.C. and was thereafter appointed an Assistant United States Attorney for the District of Columbia where he served in the criminal, appellate and civil divisions. While a federal prosecutor, Mr. Guerrieri taught trial practice in the Trial Advocacy Program of the United States Department of Justice. 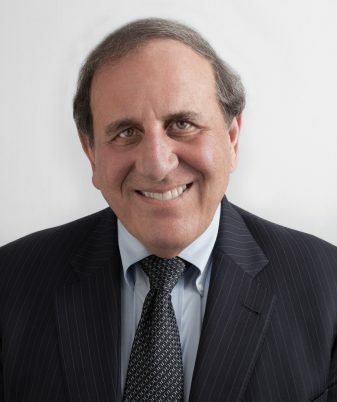 Upon leaving government service, Mr. Guerrieri entered the private practice of law and, in 1985, founded Guerrieri, Bartos & Roma, P.C., a nationally recognized law firm specializing in labor and employment law primarily in the airline and railroad industries as well as in complex litigation throughout the United States. In addition to an active trial and appellate court practice, Mr. Guerrieri has assisted the firm’s labor union clients in the negotiations of national collective bargaining agreements for, among others, the pilots at Delta Airlines and the ground employees at United, Southwest, US Airways, Northwest, TWA, and US Airways. He assisted in the negotiations of several employee stock ownership and profit sharing plans in the airline industry. He has represented labor organizations and their members in several airline mergers, acquisitions, and bankruptcies. He has represented various rail unions before a number of Presidential Emergency Boards appointed by the President of the United States to investigate labor-management disputes that threaten to interrupt interstate commerce. He also serves as counsel to the National Railroad Retirement Investment Trust, a multi-billion dollar pension fund for the benefit of retired rail employees and their beneficiaries. Mr. Guerrieri counsels a number of labor organizations on compliance with Federal laws and has served as parliamentarian at various international union conventions. In 2001, by agreement with the U.S. Department of Justice, the 700,000-member Laborers’ International Union of North America (“LIUNA”) appointed Mr. Guerrieri as the independent Elections Officer. In that capacity he investigated and decided local, intermediate and international union election protests from LIUNA members throughout the United States and Canada. He was also appointed LIUNA Independent Hearing Officer to hear and decide disciplinary and trusteeship cases. Mr. Guerrieri has published and lectured on a variety of litigation, labor and employment law issues. He was a Visiting Professor of Labor and Employment Law in Russia at Vladivostok State University of Economics and Services. He has served as a delegate and counsel to U.S. delegations to the International Transportation Federation Congresses in London, Madrid, Florence, and New Delhi. He was elected a founding fellow of the College of Labor and Employment Lawyers and has served as a Labor Co-Chair of the Airline and Railroad Labor Law Committee and the Union Administration Committee of the American Bar Association. Recently, he was elected as the IAM designated Director to the Hawaiian Airlines Board of Directors. He received the highest Martindale and Hubbell, AV rating from his peers and is listed as a Washington D.C. Super Lawyer. Mr. Guerrieri is a member of the District of Columbia bar. He received his Bachelor of Arts degree from the University of Michigan and his Juris Doctorate degree “with honors” from George Washington University Law School.